Bill Coleman is the Chief Executive Officer at Veritas. Bill is an industry veteran who has spent 25 years running prominent Silicon Valley companies including his years as the founder/CEO of BEA Systems. Bill founded BEA Systems in 1995 and was Chairman and CEO of the company from its founding through October 2001, during which time BEA became the fastest software company to reach a billion dollars in annual revenue. Following BEA, Bill was Founder, Chairman and CEO of Cassatt, Inc. an enterprise cloud software company which was acquired by CA, Inc. in 2009, and has been a partner with Alsop Louie Partners, an early stage Silicon Valley venture capital firm, since 2010. During this time, he was also Chairman and CEO of Resilient Network Systems, a cyber security software company from Feb 2012 until Dec 2013. 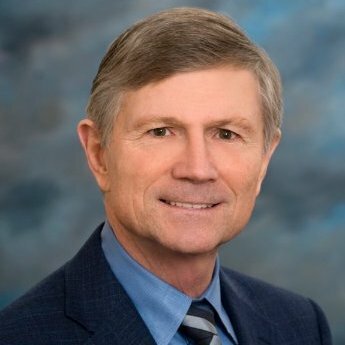 Prior to BEA, Bill held various management positions at Sun Microsystems, Inc., where he co-founded Sun Federal; founded Sun Professional Services; and was VP System Software, where he led the initial development of Solaris and related products. He began his career in the USAF as chief of satellite operations, Office of the Secretary. Bill holds a bachelor’s degree in Computer Science from the U. S. Air Force Academy and master’s degrees in computer science and computer engineering from Stanford University. He also holds an honorary doctorate from the University of Colorado, where he founded the Coleman Institute for Cognitive Disabilities. He is a member of the board of directors of Seagate, is a Commissioner of the Trilateral Commission and a Trustee of Santa Clara University.